What is Memory Age and Why Does it Matter to Gen X? The Baby Boomer generation has some company when it comes to combating the signs of aging. While the maturing generation certainly packs a punch, a recent survey conducted by Skin by Lovely suggests that Generation X may represent a much bigger opportunity than originally given credit for. 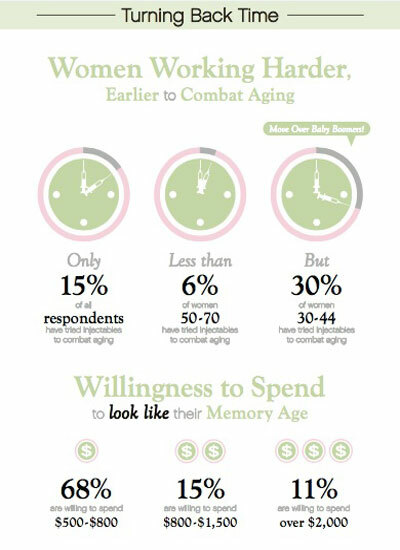 The survey dealt with the concept of “memory age,” which is “a permanent ‘memory photo’ of how we mentally see ourselves versus how we actually look in the mirror,” according to the company. The infographic below shows the results of the survey.